Startups do not only need Venture Capitalists. In fact, the initial step aside from having a “Great Idea” is Mentorship. A Startup is not only operations. It will need Administration, Finance, Personnel, Marketing etc. The reason why many startups fail is because these factors are neglected or simply does not exist. A mentorship program is being planned by both government and private institutions to assist startups in gaining the needed market traction and to make them attractive to potential investors. 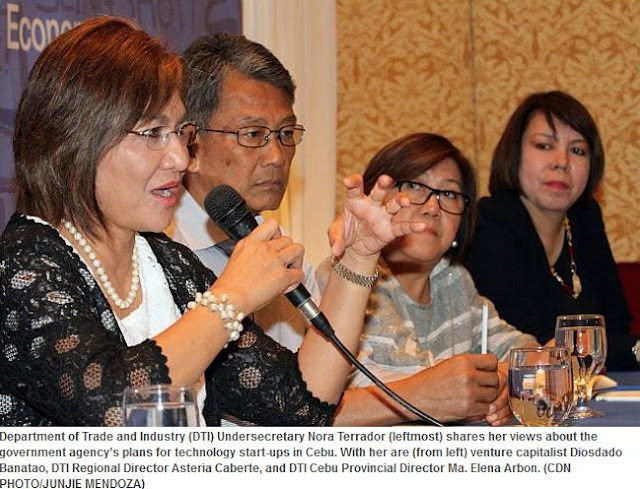 Maria Elena Arbon, Department of Trade and Industry (DTI) Cebu provincial director, said the program will also cater to existing business owners to help them understand how they can use technology in their respective enterprises. The Philippine Software Industry Association is planning “Launchpad” which is a mentorship program for startups. “In the end, we will link the two, and this will be the solution to (the problem of financing for tech start-ups),” Arbon said. Slingshot, which is a program of the Department of Trade and Industry (DTI) was attended by more than 350. It aims to accelerate the development of startups via public dialogues and partnership. PSIA with TechTalks.ph is cooperating in bringing Launchpad to Cebu. It will be a three month mentorship program for startup founders that will be a one-on-one mentorship program utilizing consultations and virtual sessions using Skype. A group within PSIA called Spring.ph has been operating for a year that helps startups in Cebu. Applications for the mentorship program for its Cebu component will start in July this year and will be available to only 10 startups. The program launches in September this year. The Cebu Chamber of Commerce and Industry (CCCI) is very much interested with the program since having listened to a presentation by centure capitalist Diosdado “Dado” Banatao. “Dado encouraged us to know the market and take advantage of technology that will allow us to innovate and discover solutions to help solve the problems of the present,” said CCCI President Melanie Ng. A group of local (Cebu) investors is planned to be created so as startups can have access to funds. “What we need are a reliable group of scientists and technologists,” Banatao said. “We need to have enough experts deliver. That’s when the money will come in,” he said. How was the 2016 Discovery Science Camp? Filipino Weather Channel DOSTv Launched!